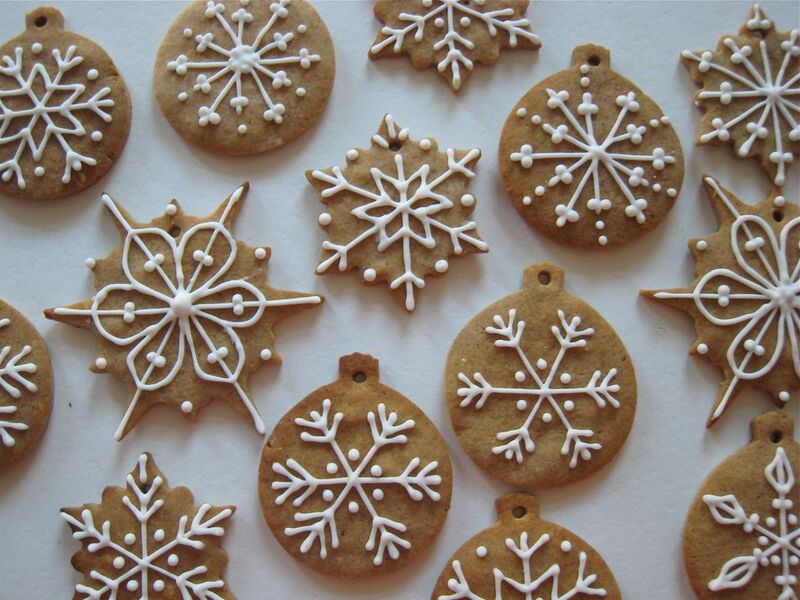 This recipe for Czech gingerbread cookies or pernik na figurky is adapted from Joza Brizova's (Crown Publishers Inc., 1965). Czech gingerbread cookies are popular at Christmas time when they become part of vanocni cukrovi (vah-NAWTCH-nee koo-KRAW-vee) or Christmas sweets. In a large bowl, combine flour, sugar, spices, and baking soda until thoroughly mixed. Add honey, eggs, rum and zest and form a smooth dough. Wrap in plastic and let rest at least 30 minutes. Heat oven to 325 degrees. Roll dough 1/8- to 1/4-inch thick between two pieces of parchment paper. Remove top parchment paper and cut out various shapes, leaving 2 inches between cookies. Remove scraps. Lift parchment paper by opposite corners and place on a sheet pan. Bake 15-20 minutes or until light golden at the edges. Cool completely on the pan before removing to a wire rack. Repeat with remaining dough and dough scraps. When cookies are completely cool, decorate with , if desired. Let icing harden before storing in an airtight container with parchment paper between the layers.